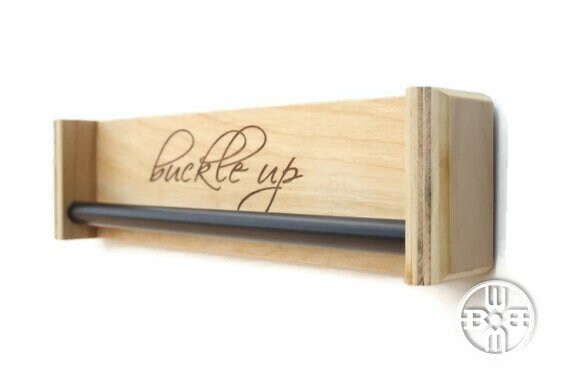 The words "Buckle Up" are laser engraved into the wood. 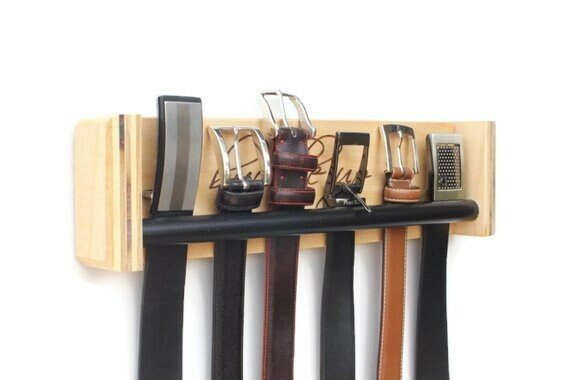 Belt rack is stained and clear coated with a matte finish for enhanced durability. Holds approximately 8 belts. • Product Dimensions: Measures 16" long x 4" tall x 2" deep. 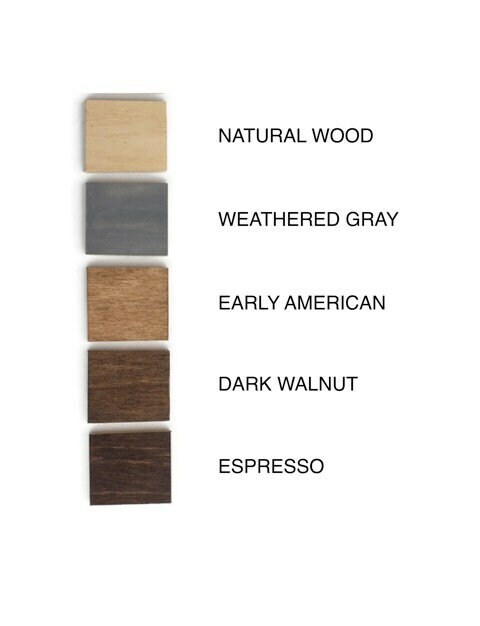 • Colors: See drop down box for wood color and rod color - Shown in Natural Wood stain with black rod. (Middle picture features swatches for wood color.) Item is finished with a modern matte clear coat. 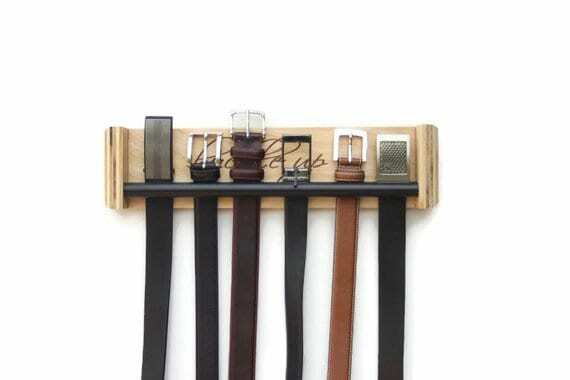 • Easy to hang via two keyhole fasteners. • Wall anchors and screws are recommended for installation. 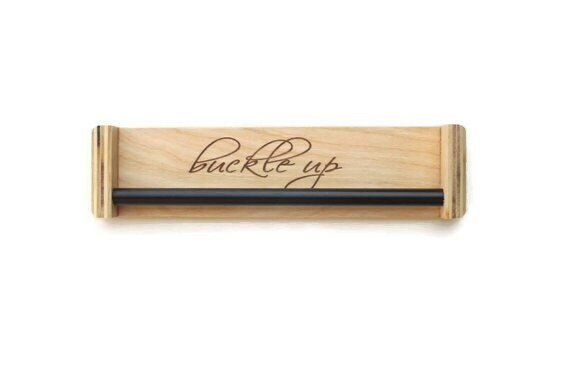 • Your "Buckle Up" belt holder ships within 5-7 business days following receipt of payment.